WipeAlyser permits documentation, storage and printing of DrugWipe test results. 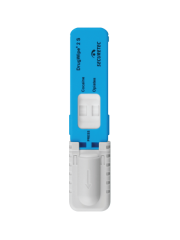 Perfect for use at roadside checkpoints or at police stations, this mobile device guarantees results are always objective through electronic analysis of DrugWipe test results. WipeAlyser is a mobile device that analyses and stores DrugWipe test results. 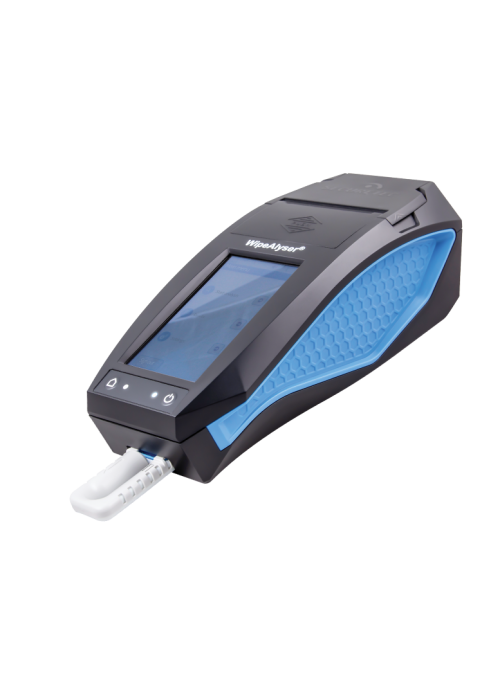 In addition to the test result, the device allows all information required including details of test subjects, timestamp and (optionally) GPS data of the test site to be recorded and published on-site as a log and document from the device’s integrated printer. Robust, shock-resistant and equipped with splash water protection, the device is ideal for outdoor use.